As you ponder curriculum, seating, and policies, here are some ideas and resources to consider that will assist you in making your class a welcoming, safe, and inclusive space for your students. Manifesting the magic of compassion within the four walls of your classroom may not always be an easy task, but it's a darn worthy one. That being said, we only can give what we have. Reflect on yourself for a second: Where are you with compassion for yourself? When was the last time you checked that barometer? Teachers know how to give of themselves to others and set aside their own needs. It can be beyond exhausting, and it's necessary to recharge. Summer is the time to dive into some serious high-level self-care before the school year begins. For novice teachers, if you haven't heard this advice yet, here you go: It is paramount that you take this time to refuel and prepare for the next round of students and learning. Let's acknowledge that four levels of self-care exist: physical, emotional, mental, and spiritual (however you define this last one; it's not necessarily religious). Tending to all these aspects of self is key to all-around good health. So, while you are doing vacations, baths, meditation, and leisure reading this summer, I know you are also beginning to plan the lay of the land for your classroom next year. As you ponder curriculum, seating, wall décor, policies, and routines, here are some ideas and resources to consider that will assist you in bringing more heart into the classroom. I am an advocate for de-institutionalizing the classroom, and I believe care, compassion, and creativity are the avenues that will lead us there. Invisibility can make for a hostile environment for those who have been marginalized in society and in schools. Our classroom walls do a lot of talking, and posters can convey strong messages of encouragement, care, safety, and inclusion. Here is a freebie you can download and print from the Gay, Lesbian, and Straight Education Network (GLSEN) that deems your classroom a safe space for everyone, including LGBTQ students. Here's a Pinterest page, LGBTQ and Gender Identity, with many resources for teaching on rights and inclusion. In this Disability Awareness Packet you will find a variety of worthwhile activities to explore with your students to help them in gaining more understanding and empathy for differently-abled students. Reading testimonials of those who have been mistreated and marginalized -- while also exploring examples of historical and local upstanders and allies -- can amplify empathy in our students. Teaching Tolerance offers up a dynamic selection of K-12 lesson plans for all subject areas that are categorized under the anti-bias domains: identity, diversity, justice, and action. The activities address such topics as gender equity, human and civil rights, media literacy, and immigration. Jinnie Spiegler's blog post, "Teaching Young Children About Bias, Diversity, and Social Justice," proposes elementary school teachers use young children's understanding of differences to teach social justice through age-appropriate literature, news stories, anti-bias lessons, familiar examples, and problem solving. Rows are a thing of the past. If you are still lining up those desks, this is the year to just say no. Group seating, like arranging desks in small pods (even in pairs), sets the stage for student-centered learning. Todd Finley's blog post, "Tips for Creating Wow-Worthy Learning Spaces," offers clever and creative suggestions for innovative seating arrangements. Kayla Delzer's blog post, "Flexible Seating and Student-Centered Classroom Redesign," provides research in favor of flexible classroom seating and on the importance of rethinking the traditional classroom layout. Lighting -- this may not seem like a big deal, but it is. Nothing says institution like florescent lights. Bring in some lamps, and kill a few of those overheads. Plants will add a colorful and calming effect to the room, as well. Also, add a collection of innovative toys and objects to shelves and bookcases. Check out Stacey Goodman's blog post, "Does Your Classroom Tell a Story?" Goodman shares how filling your classroom with objects and props creates a world of curiosity and wonder for you and your students. When we take the time to soften our classroom with lighting hacks, throw rugs, plant life, and curious and interesting objects, we are conveying a message of care to the children who are spending many hours within those four walls. It's a powerful thing for teachers and their students to choose an organization or charity to support, spending the school year fundraising for the group and writing letters of support and advocacy for their cause. Read about the creative ways a high school class in Maine fundraised for an orphanage in Zimbabwe. Service learning has long been an aspect of K-12 curricula in many public, private, and parochial schools. Learning to design projects that boost civic engagement in students and help them take initiative to strengthen their community is a worthy endeavor. The nuts and bolts of service learning are outlined in the blog post, "Authenticity = Lifelong Learners." The blog post, "Project Au-Some: Building Empathy and Collaboration," highlights how through partnering with a preschool special education class, fifth-grade students learned and taught their community about developmental disabilities, enhancing their own empathy in the process. I wrote a post that reflects, in part, my teaching philosophy, which includes reading and writing alongside your students, providing them with options, laughing with your students, and modeling vulnerability. When deciding on specific rules, routines, and classroom policies, we want kindness and care to shine through. We want to make sure that as we implement these that we are responsive rather than reactive if a child breaks a rule or refuses to adhere to a classroom policy. 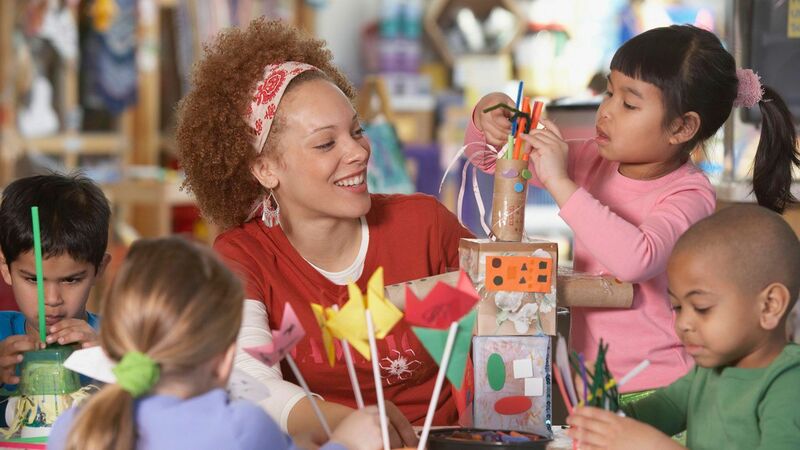 "Building Supportive Relationships in the Classroom:" Discover an activity that helps students develop a sense of mutuality and social awareness. "Classroom Management: The Intervention Two-Step:" Try these tips on how teachers can immediately act to stabilize classroom disruptions and then intervene to resolve the issues. "Mindfulness Routines in the Classroom:" Read about how one experienced fifth-grade teacher incorporates mindfulness and social and emotional routines into her daily classroom instruction. "Building a Positive, Trusting Classroom Environment:" Here are three suggestions for building a positive, trusting classroom environment. "Strategies for Helping Students Motivate Themselves:" Motivating students is a critical part of establishing classroom routines. Using autonomy, competence, relatedness, and relevance as practical classroom strategies can help reinforce the intrinsic motivation that students need for making the most of their learning. Share with us in the comments section below. How are you expressing compassion and care for yourself this summer? And what are ways that you work to develop a radically compassionate classroom?